ART LIGHTING - CABINET LIGHTING - LANDSCAPE LIGHTING - ELECTRICAL CONTRACTOR Illuminations Lighting Design (ILD) has provided streamlined solutions for home and business owners since 1980. Our main areas of focus include lighting design, landscape lighting, fine art lighting, display lighting, home lighting control systems and general electrical contracting. Because we offer a full range of services, we can meet virtually any electrical and lighting need. No project is too narrow, or too broad. (Sales - Service - Maintenance) Call today at 713-863-1133. 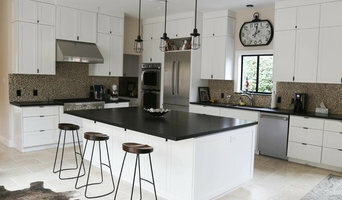 Welcome to GLC Houzz profile. 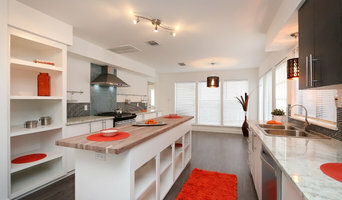 We are Houston based contractors that specialize in residential redevelopment. We do excellent work at a reasonable prices. Bathrooms and kitchens are our norm. However we are a diversified group and can handle any project at any size.. We are Insured, bonded have workers comp and use full time employees for 85% of our work. Most of our guys have been around 15-20 years and were my fathers employees when he was remodeling. When we take on a job our guys show up 5 to 6 days a week until the project is finished. No bouncing around from job to job like most do. We will clean up jobsites daily and respect your space GLC is a full service Design/Build firm serving the Houston metropolitan area. Our skilled team of architects, designers and craftsmen share a commitment to customer service, made manifest through seven core principles: Courtesy, Accountability, Integrity in Design, Quality Craftsmanship, Communication, Cleanliness and Accessibility. This commitment has helped us build a broad base of loyal clients who continue to refer family and friends. 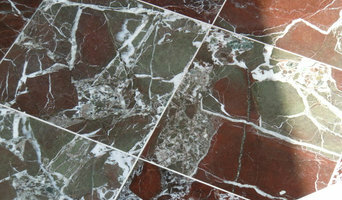 We thank you for considering GLC, and invite you to tour our online gallery at Houzz. The team at J&M Construction & Remodeling is standing by to serve your needs. We’ve been catering to the Houston community since 1979, offering the most innovative remodeling options at the most competitive prices. We can help you with any project to revamp the inside or outside of your home. Thanks to our skilled craftsmen, J&M can handle just about any job. Whatever the scope of your vision, we’ll be able to complete the project in a prompt and efficient fashion. From kitchen repairs to home additions, we’d love to help. Call to schedule your preliminary consultation. Our team will work by your side throughout every facet of the contracting process, ensuring that you’re thrilled with the final look of your renovation. Contact one of our friendly staff members to get started. We’re fully certified and accredited by the Better Business Bureau, so our clients can depend on quality construction. With the assistance of J&M Construction, your expectations will be far exceeded. After graduating from the University of Texas with a business degree, I started flipping houses with family members doing most of the work ourselves. Then we graduated to small apartment properties still doing most of the remodeling and repair work ourselves. In October of 1994 I started Four Points construction Corp to deal with whole house remodeling as well as industrial and commercial remodeling and build out work. In May of 1996 I started the dba DreamMaker Bath and Kitchen of Houston when I decided to specialize in kitchen and bathroom remodeling. 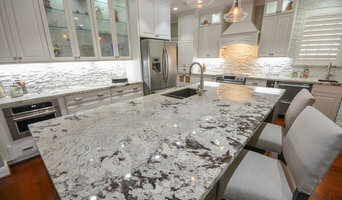 In January of 2014 I changed the dba to Designer Kitchen and Bath to reflect the broadening of our product lines to include kitchen and bathroom design and material supply, like cabinets and plumbing fixtures and such, for new construction and remodeling work where we were not the general contractors. Designer Kitchen & Bath is at your service to make your home more livable and more beautiful. With over 30 years of experience to draw upon, we help you plan a new space, select from thousands of products, then expertly construct the room of your dreams. You can rely on us to handle your project from top to bottom. We now carry both Doca and Medallion brands, along with multiple other manufacturers and brands to suit your needs. We hope to have the opportunity to add you to our family of satisfied clients. Call us for your next project! Whether you are building a new home, remodeling or simply updating your decor, we are ready to assist you with all of your lighting needs. Since 1995, Lighting Unlimited has served over thousands of customers in Houston and around the country. Specializing in quality light fixtures, lamps, ceiling fans, and lighting controls with styles ranging from traditional to the latest in modern lighting technology. We have over 10,000 different products in stock including indoor / outdoor, landscape, low-voltage, fluorescent, halogen, LED, and natural gas lighting. Our professional lighting design department is ready to help plan your residential or commercial project. No job is too big or too small. Our State-of-the-art showroom is conveniently located in the heart of Houston on Richmond Avenue just one mile east of the 610 West Loop. Our team of professionals is here to assist and advise you through the entire remodeling process, ensuring that your renovation project will proceed smoothly, staying on schedule and on budget. We can even offer in-house design services, providing innovative designs that are both aesthetically pleasing and functionally efficient. Our designers can bring your ideas to life while staying within your budget, maximizing the impact of your investment. Please call Xtreme Renovations today at 281-345-4233 for a free consultation and estimate. Meticulous attention to detail and craftsmanship is what we specialize in, and the quality of our work is unsurpassed, except by the value you receive from each and every service we perform. Whatever your renovation budget might be, please consider Xtreme Renovations for your next project. Founded in 1973, Bob Jackson Painting and Remodeling has been serving the greater Houston area residents and businesses with professionalism and a commitment to 100% satisfaction. We are an A+ rating member of the Better Business Bureau since 2003, upon which we highly regard. As a family owned and operated business with 45 years of experience we have an established network of suppliers and understand both the foundation and process of home renovation. Our passion for what we produce, integrity, and extraordinary craftsmanship is what sets us apart. Rick O's Construction and Remodeling is a full service design, remodel and renovation contracting firm. We have been serving the Greater Clear Lake and Bay Area since 2000. As a full service general contractor, we work with the clients through all phases and in many cases provide drawings. At Faith Builders, our goal is to help you turn your vision into a reality. We have the experience and resources necessary to remodel your entire home. Even bring a new look to just one room. Whether we are bringing a space back to what it once was, or creating something totally new, we’ll guide you through the decision-making process. 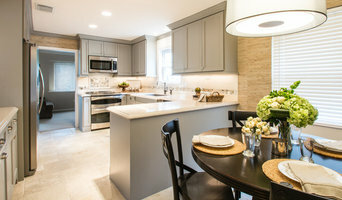 We are Houston's Expert Home Remodeling Contractors. We pull it all together into a home or office design that is beautiful, functional and uniquely yours. We take care of every aspect of the project and always stand behind our work. A Beautiful floor, Inc., DBA ABF Remodeling has been serving Copperfield, NW Houston and the Greater Houston area since 1999. We are Located at 8719 Highway 6 N, Houston, TX 77095. We Specialize in all phases of Home Improvement with a focus on Kitchen,Bathroom Remodeling and upgrade. We also handle all aspect of your home or commercial remodeling. Our experienced team members are able to help with design, material selection and implementation of your vision for your project. In order to make your project implementation as smooth as possible, we offer you a showroom/design center for your convenience and a one stop shop for all your remodeling materials and accessories.